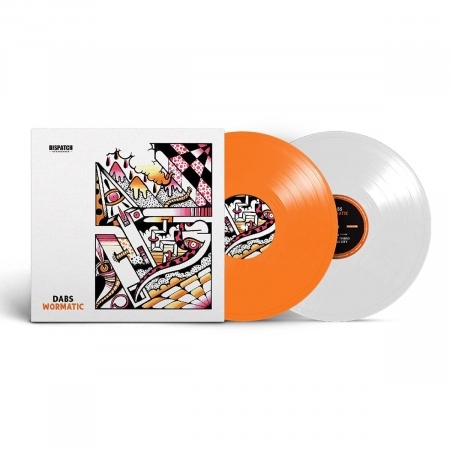 (ORANGE & WHITE VINYL EDITION) - Many labels have prided themselves as being specialists within the field of drum & bass, however not all of them can boast the background that Dispatch Recordings have built for themselves throughout its development. They've never shaped their sounds or artists to fit any one popular model and have instead shifted their focus to providing music which is ingeniously written, whilst also being engineered for speaker stacks. The output on Dispatch has been continually of a high caliber and difficult to match since the label was first launched, yet they still manage to find artists who fit these standards. Even in recent years, they've helped shine a light on many producers who were not only beginning to establish themselves, but also to make these figures become buy-on-sight; whether that's exemplified through Black Barrel's "Last Frontier" LP through or the "In Life" EP from Tephra & Arkoze.